The Essential Phone never lived up to its name, but the good news is that this has led to some pretty nice deals for the handset. The latest comes from Amazon where the Android powered model can be yours for $434.99. That means you are saving $64.01, or 13%, from Essential's own price of $499. The latest issue to affect the phone is a problem with the latency of the touch screen, which will soon be fixed with the update to Android 8.1. Yes, we said Android 8.1. You might be sitting with your Android flavored handset running Android Nougat and feeling a little frustrated. But you need to remember that the Essential Phone runs on stock Android, allowing users to be one of the first on the block to receive software updates. Based on the Google Play Store listing of Essential's camera app, 50,000 to 100,000 units have been sold. There has been talk of a sequel to the PH-1 (PH-one, or PHone, get it?) which would include an IP67 certification rating; that happens to be the most requested change for an Essential Phone 2. The OG model sports an IP54 rating. 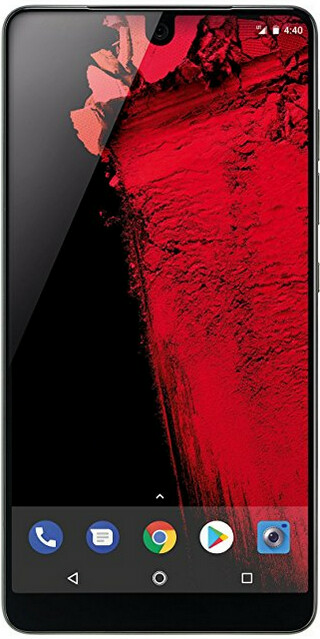 While we don't know when Amazon's sale will end, we can tell you that if you're looking to pick up the Essential Phone at a price lower than what Essential sells it for, click on the sourcelink below. Love the essential's design, but sold my soul to s8. Hope they fix all the evident issues and become a success! Not bad. I'll still probably get one off of Swappa, but it's still being supported pretty well by Essential. They are trying to make their product better. I have a feeling the 2nd gen Essential Phone is going to be a much better device.